The fictitious great-great-nephew of Dr. Weston Andrew Price follows in his footsteps and discovers how traditional societies nourished themselves for optimal health. Join Andrew as he delivers a “show and tell” to his classroom. He will recount the travels that his great-great-uncle took to Switzerland, Alaska, Canada and Africa. As the narrator, he will teach those who are reading the book about the nutritional principles that support optimal health. See sample pages at The Adventures of Andrew Price website. Note that we’ve decided that The Adventures of Andrew Price will be a limited edition. We won’t reprint once we sell out and we are well on our way to being sold out now. Green Pasture Products is giving away 10 hardcopy books, in addition to the e-book, the online flip book, and a coloring page. They will ship one book to 10 households in the United States, excluding Hawaii and Alaska. To enter, let us know in the comments, with at least 5 sentences, why you have an interest in this book! Note, at least 5 sentences to qualify! Be sure to include the words The Adventures of Andrew Price in your response. We will randomly chose qualified respondents who will receive the book complimentary on February 7, 2016 at 6:00P Pacific. Let us know why you have an interest in our book! I would love to receive a free copy of The Adventures of Andrew Price because I have a young GAPSter son with (formerly) ASD who is three going on four years old. He has nearly recovered from autism with traditional food and some support with supplements in only six months’ time! I want him to grow up understanding how food changed his life and why! This would be such a great gift for him. I believe it would help him understand even more why mom spends so much time in the kitchen. I sure hope we win! The Adventures of Andrew Price would be a good way to teach both young and old about healthy foods. I would love to win the book The Adventures of Andrew Price to put on the table in the front room to start conversations with visitors. We are really trying to incorporate Weston Price’s philosophies into my family’s life and it would be a wonderful addition. We just need it so we use more Green Pasture items in our lives. Please keep doing this good work for healthy teeth. Our oldest children have rejected my love for Weston A. Price. We started too late! I am looking for anything that will help our younger children embrace traditional foods! This book “The Adventures of Andrew Price” looks like it would help us tremendously! Kids embrace stories and heroes – books are a wonderful and powerful influence so I pray we win this awesome book! I would love to receive a free copy because I am really trying to incorporate Weston Price’s philosophies into my family’s life. Receiving this book would not only help teach my children, but also my husband, as he reads this to them. I am trying to get him ‘on board’ and I think this book will really help. I know following Weston Price’s diet helped me so much during my pregnancies and afterwards (I started while I was pregnant with my first child), and I have struggled to get my husband to change his eating habits, although he suffers with health problems. I truly believe this book will help him make the first step. Thank you! Susan, come back & edit your reply. You forgot to mention the title :) Good luck. We are just starting our adventure in healthy eating. I am looking forward to improving our health and hopefully changing some health issues for the better (aspergers for one). Trying to explain/convince my family that this is a good idea and a necessary one is not easy. The way we have eaten is bad but it’s all they’ve known(and what everyone else does). I believe The Adventures of Andrew Price would be a great way to teach my children in a fun way. I hope to not just improve our current health issues but to make changes for our future health and for generarions to come. I would love to win the book The Adventures of Andrew Price. I have been on a healing journey to find health through natural holistic foods for the last few years. Since I homeschool, I would love a book on this type of nutrition to share with my children. Since current kids nutrition books are way off course. I teach them nourishing eating, but a book could make it more real for them. Especially since one of my children is a avid reader. The Adventures of Andrew Price may be the natural continuation of Dr. Price’s years of research on the essential qualities of traditional food. Even our allopathic medical society in the U.S. is beginning to acknowledge these healing foods, coining the term ‘Functional Medicine’ as the new paradigm. My wife and I have been incorporating his research into our living for four years and our two grandchildren are being educated in how food is grown through our raised bed gardening and food preparation in the summertime. My ‘movement as medicine’ classes in our community commonly discuss the illusive obvious facts that ‘food as medicine’ bring to our lives. The interrelating factor is cultivating awareness in ourselves and in our conversations with others – these conscious intentions change the world in which we live. Would love to win a copy of The Adventures of Andrew Price! It would be a great addition to our family library. Several years ago a local doctor introduced us to the Weston A Price Foundation when I sought her help for some family health challenges. After joining my local WAPF Yahoo Group I was able to establish local contacts for quality food as well as find support from like minded individuals. Thanks for this opportunity! Thank you for this opportunity! “The Adventures of Andrew Price” , would be an awesome addition to the ” Health” section of our homeschool library. There are so few books that touch on the real health needs of today written to capture and maintain the interest of students young and old. While reading aloud, the parents are encouraged to stay consistent in the pursuit of healthier teeth and gums while the kids are being exposed to a healthier lifestyle in a fun and captivating way. Read aloud time is already a vital part of our home school life. Incorporating good habits to take care of our oral health ( we have a daily posted ‘to do’ list) puts “The Adventures of Andrew Price” at the top of of the list. I would love to receive a free copy of The Adventures of Andrew Price for my daughters. I’ve been studying nutrition and natural healing since the age of 13 (I’m 32 now), and I just recently learned about traditional nutrition 4 years ago, right after the birth of our first daughter. I have learned so much and would like the share my enthusiasm for traditional nutrition with my girls (currently ages 4 years old, and 2 months old). Since starting the traditional foods diet 4 years ago, our health has improved (and with the diet, my last pregnancy was far easier than my first). This book will help my daughters gain lifelong nutritional wisdom that hopefully they will pass to their children in the future. I would love to win “The Adventures of Andrew Price.” I have been intrigued by the work of Weston Price for about 5 years now. I have a 6 and 8 year old and I would love to be able to read this book to them and share the information in a way that is more understandable for them! It is so great that this message is getting out there, so important for the health of our families and future generations! I would Love to receive this book “The Adventures of Andrew Price” for my grandchildren. I have 4 grandchildren, the 6 yr is getting aware (his mother is some what aware) that eating junk foods can give him cavities,(he doesn’t have any) and making him sick, as a child and an adult. But my 3 other grandchildren by other mothers, do not see the need for eating organic, or healthy and what it can do to there children or themselves. You can never start a child, and family too early to learn what a wonderful future they can have if they eat healthy and take care of themselves. If you have your health, you can do anything. Children can teach there parents. The Adventures of Andrew Price is such a unique and fun book that when I read it to my 8 year old, he used it in his Language Arts writing assignment! I always teach my kids to eat as nutrient dense as possible. We always make the connection between the foods, their sources, and our bodies. This book would be invaluable to us! Thank you for this! Winning a copy of the Adventures of Andrew Price would truly be a blessing to our family. I have 3 young children, ages 8, 3.5 & 20 months (plus a teenager). 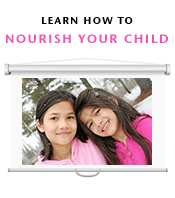 We homeschool our children, and teaching them proper nutrition is very important to us. Unfortunately, our budget is incredibly tight, so we’re not able to purchase new books very often. So winning one is likely the only way we would be able to incorporate such a great book into our homeschool nutrition curriculum. Thank you for making this a possibility! I would love to win a copy of The Adventures of Andrew Price! I have a 7 month old baby, my first, as well as 3 stepsons who are teenagers. We have just learned about the Weston Price Foundation 2 years ago, and we have been trying to change our diet ever since. Having this book would be a great help in teaching our older kids about better eating without them feeling like it was just boring information going in 1 ear and out the other. And I would love to read it to my baby, as well as the other children under age 12 whom I babysit for. I feel like this would be a great tool to share Weston Price’s findings with many others! I’m excited to learn this book exists, and I hope to win one! We can’t wait to read in a children’s format about what Dr Price found about traditional diets when he visited other nations! Thank you! Thank you so much for the share, Stan! I am a volunteer story teller in my local elementary school. I am always looking for stories about health to share with the children. I would like to have a copy of this book to share the story with my students, and other storytellers. I am so happy it has been published. Now it is even easier to spread the correct message about nutrition with children. This is cute! It would be a fun read to read The Adventures of Andrew Price to my kids and educational too, I am sure. We love WAPF principles around here, as well as Green Pastures products. I have always felt better taking the cod liver oil and absolutely love drinking my raw milk! We love good books and would love to add this to our collection! I want to win The Adventures of Andrew Price for my Grand daughter Piper. Our family loves the work of Dr. Weston Andrew Price and try to follow his philosophy. We have been consuming raw milk from pasture fed cows for years! But mostly I want Piper to have this book because of the cover of the book and the red airplane. 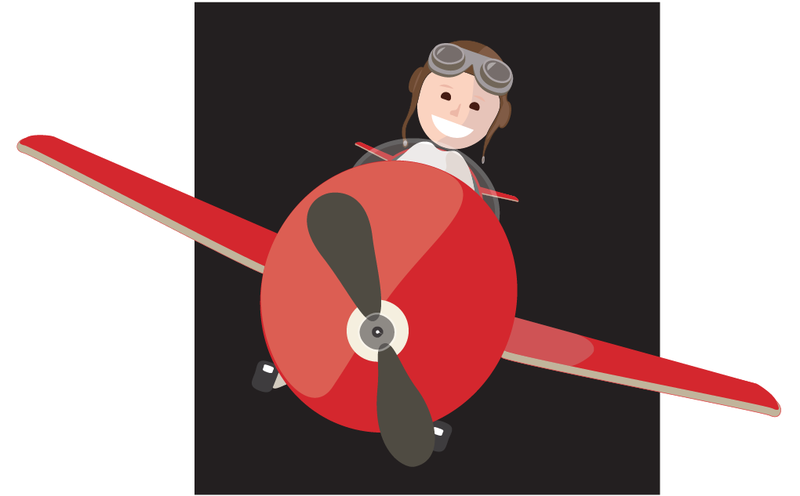 You see Piper was named after her late great grandfather’s airplane, A Piper Cherokee. And it was a red and white airplane. I know she will love the book! My grandsons ages 5, 2 1/2, and 4 days started reading the sample pages of The Adventures of Andrew Price. You’re never too young to begin nutrition. Imagine there wasn’t a supermarket as we have to buy staple items, but that raw milk and cheese came straight from the cows and goats. What was amazing was the people in this adventure never brushed their teeth. They didn’t even own a toothbrush, but they had straight and beautiful teeth. (My boys loved that part of no brushing) so, the sample pages ended there, and we were disappointed that we didn’t get to see more. I’m hoping to receive a copy of your book to finish this adventure. My favorite Green Pasture is Blue Ice Royal Butter Oil/Fermented Cod Liver Oil Blend. I would be very grateful to win a copy of The Adventures of Andrew Price! I am pregnant and our first baby boy is on his way. He is making his debut in May. I would love to add this book to his little library, so he can follow an organic and healthy lifestyle like his momma. I am interested in a winning a copy of The Adventures of Andrew Price for many reasons. Nutrition played an important role in helping myself recover from debilitating disease. Dr. Price’s book Nutrition and physical degeneration is one of the best books ever written and is one of my favorite books as well. The concepts ring as true today as they ever did, and even more so, due to the increase in processed foods which Price showed are the actual cause of the conditions. I would love a copy of The Adventures of Andrew Price so I can more easily present the concepts to people who are unfamiliar, especially children before they make harmful nutritional mistakes which can impact their lives very seriously! My nephew loves reading and this could make a great addition to his book collection too. Sorry my name is Glen from Lodi, NY. Thanks and good luck to everyone! I am a wife, mother, grandmother, and midwife and would love to add to my knowledge and pass it on to those I care about. I would love to get a free copy of the Adventures of Andrew Price. We have been doing WAPF food for about 7 years. I have taught fermenting vegetables and kombucha and just had a Kraut Party for ladies from my church. (Total Success!) I am trying to stir up interest in some seminars on nutrition in home school co-ops. This book would be the perfect way to communicate with pre-school kids and lower level elementary level. The 6th-7th grade debate class found good info on the WAPF website, but this would be a good overview for them too. I would love to win a copy of the adventures of Andrew price. This book sounds like a wonderful encapsulation of all that I am teaching my children through cooking. When we cook together I explain the importance of ingredients and the use of traditional recipes to help heal oneself. Having a visual guide in the form of illustrations would be an additional point of reference from which they can learn. Hearing the words on the pages spoken aloud would likely provide an easy to understand and relatable bit of necessary information. I know my four year old boy would love to read The Adventures of Andrew Price. He already knows that we choose to eat differently than others to be healthy. Looking at the preview for The Adventures of Andrew Price, he will learn why what we eat effects the health of our teeth. The graphics look great and will keep his attention. I would love to use this book to teach my son and share it also with other moms and kids we know. I would love for my daughter to get a copy of The Adventures of Andrew Price. She loves books and pointing to things asking what they are. I have the Nourishing Traditions and Nutrition and Physical Degration books and love them. My family eats as best we can according to the WAP guidelines. I think this book we be a great addition to my daughter’s collection. I would love to receive a free copy of this book for my 4 children. They love to read great books. This sounds like a wonderful one to add to our shelf and to teach them at their level why we go through so much work to make great food. The Adventures of Andrew Price will be an awesome addition to my library — as I like to display books that will motivate healthy behavior in my family. My daughter is a Phd with a research background in physiology and is finding innovative ways to prevent disease thru excercise and preventative habits. I have 3 grandchildren and want them to benefit from all that Winston Price has uncovered. my own life has changed with my new heatlhy diet and eating receipes found in this community. keep publishing! why stopping at a limited number? we can market this topic for you! I have 2 great grandchildren. I know this book would be very helpful to them, their parents, cousins, and other relatives … one has been diagnosed as bipolar, and another with schizophrenia. Children’s books can be most effective. I had a child who was bullied when he was in kindergarten. I tried comforting him by what I heard from other parents. It wasn’t until I read him THE SMALLEST BOY IN THE CLASS (which Rod was) that he could let go of the trauma. I am most appreciative of Weston Price and Nourishing Traditions. I have used Green Pastures fermented cod liver oil and butter blend, GP skate oil, and the Weston Price dietary guidelines to heal my teeth. I have started my road to health with these dietary guidelines in the last 2 years. My children did not grow up with this knowledge because I was unaware. It is new to all of us. I have introduced the Westin A Price principles to my adult children. They have watched my health improve. And I would like to give them a tool to strengthen the teaching of good dietary decisions for their children. While we a physically far apart, I read on google hangout to my grandchildren. It is one of the things that we like to do best. I’d enjoy a copy of this book to give to my best friend, who has a son that was just told he “may” be autistic. He’s a sweet and lovely little three year old boy, he was breastfed a long time, and this has come as quite a shock to my friend and her husband. They’ve made some fast and amazing changes. Going GAPS, learning to encourage the 3 year old to eat fermented cod liver oil, and trying to learn all the ins and outs of traditional eating… big changes for them. It’s been a terrifying time for her as a parent, and I think she would really appreciate this book herself, even as an adult. I have two daughters, ages 4 and 6. The youngest has Down syndrome and both are doing wonderful thanks to many lifestyle changes. I would love to read The Adventires of Andrew Price to my girls to continue encouraging a healthy lifestyle with good nutrition. They are my kitchen helpers and we currently use both Nourishing Traditions and Noirishing Traditiona for kids. We recently read Herb Fairies and it really helped solidify natural and real foods, so I anticipate this book taking it a step further. Thank you for books that help children grow in their body, mind, and spirit. I would love to receive a copy of The Adventure of Andrew Price. I love that he had a vision and set out in the world to discover if he theory was true. I also, have a dream to travel the world and to live and eat with different culture. My family, including my 10 month old son follow Western A. Price’s nutrition guidelines. I hope that my son will continue to follow this way of eating as he gets older and continues to explore and thinks outside the box. If I were to receive a copy of The Adventures of Andrew Price, I would use it in the classrooms I substitute teach in and the homeschool community at large. There is a hunger in many people I know for getting back to our roots when it comes to nutrition and health. I’d like to see this book in a lending library for mothers and wives to borrow and share with their friends and family and then share it again to their community and families who in turn would share it again. This book seems like a thoughtful way to engage the young mind in the ways that preceded ours and their generations. Creating a two pack with Nourishing Traditions would be a good way to market to people who need the information found in that book as well. Some of our neighbors call us old fashioned and ‘farmers’ although what we do is far from the model that Weston A Price has outlined for us. We are doing what we can step by step for the last 6 years and those closest to us have seen the results and are curious of its beginnings. This is a lovely book to bridge a gap with the next up and coming generation of people! The Adventures of Andrew Price sounds like a wonderful book! It sounds like a great way to get children to get interested in eating healthier. I just found out I’m pregnant, so I’m excited to have this as a book in my child’s library. Thank you for the oppurtunity! I would love to read this book to my daughter. Nutrition is so important these days. Sounds like this book could have a very positive impact on kids. Just the sort of impact that kids need these days. Best of luck to every one! Thanks for putting out great products! It would be wonderful to win Adventures of Andrew Price! I enjoy collecting wholesome books for my children & this would be a perfect addition to our small library! I am a fan of Weston Price & want to pass on the invaluable knowledge to my children. What better way than by a book designed especially for children with these principles in mind. I’m excited to read the new book, “The Adventures of Andrew Price”, to help teach children how to stay healthy. The colorful illustrations and the simplicity of the story, lets children of all ages understand how to stay healthy, is such a great book idea! This beautiful Limited Addition is a read and re-read must have in each family home library! What an exciting way to introduce our small ones to good health! This little children’s health book will be pasted on to future generations. Little Lily is a food adventurer. She and our whole family also love books that bring knowledge and more adventure. The Adventures of Andrew Price sounds like a perfect addition to our life. We already love the adventures of Andrews great great uncle, Weston. Thank you for the chance to win this awesome book. My children would love this book! It would be so nice for them to read a book that they can relate to the food and food sourcing. Most books they read speak of birthday cakes with colored frosting and candy; things my kids do not eat. They would love a book that they can relate to, learn from, and enjoy! It sounds like an amazing book! Change is in the hands of our children. This book is a ray of promising hope for generations to come in its aim at empowering children through knowledge. I have three wonderful daughters with the eldest being a teenager and the youngest a new born baby. Looking forward to bless our read aloud time with The Adventures of Andrew Price. Thank you for such a meaningful addition to picture books! I am very interested in The Adventures Of Andrew Price book. I do family coaching to help families become healthier. This book would help families with the introduction of why to change their eating. The information in the book would be a great base for the adults also. The information would help change the next generation, helping them to become a healthier people group. Changing eating views one family at a time. I would love to win the adventures of Andrew price book! I want to always teach my son about nutrition and what the best ways to take care of himself are. I had pcos and a 2% chance of getting pregnant on my own and found weston price and began changing my eating habits and adding supplements in. After 2 years of a complete overhaul on my diet I got pregnant naturally! So I’m a huge believer in how much proper nutrition can change your body and want to instill that in my son. I’d also like to use this book for my nephews to help them learn more about nutrition and being healthy. I also am part of a homeschooling co-op and would use it as one of my books to read to them and use the opportunity to teach the other Littles in the group about health and nutrition. Thanks! I was at the Wise Traditions conference in Anaheim and this book was selling like hotcakes! I understand why. It is a perfect way to educated children (and adults) about Weston A. Price’s travels and discoveries. And it’s inspiring! When you turn the last page, you are ready to go out and eat well to be well (and to tell others about nourishing foods, to boot)! Thank you for an awesome opportunity. Learning from Price is a great advantage in growing. I have Chronic Lymes and associated health issues, so our family has been learning to eat in a healthier way. We would love to get a copy of The Adventures of Andrew Price. It would help me and my children learn about what we can improve upon. What better way to teach than by reading a fun book! Price has some great wisdom. I would be honored to receive a copy of The Adventures of Andrew Price children’s book. My young children would enjoy this reality based adventure. Continuing and spreading the message of nutrient dense food and it’s impact on healthy people needs to have buy-in from kids. This empowers the next generation to make well-informed choices with regards to nutrition. I would share this story with other children in our lives, including nieces, nephews, and friends. Thank you, Sandrine for your work on this project. I am a big fan of Green Pasture Products and my family uses their products regularly. If I got a copy of this book, I would read it with my children. I’m a single mom and big health nut, but their dad was in the hospital at age 39 with heart failure due to his eating and other lifestyle habits. Their grandpa on their dad’s side has been on a gallon ziploc bag of rx meds for longer than the 18 years I’ve known him. I am always looking for other voices to add to my own on this topic, especially since the “freedom” of eating anything they want like their dad can be more appealing than more long-sighted goals of living a long and healthy life, particularly for preteen boys. After I read and discussed this book with my children, as my health coop’s Green Pasture order coordinator, I would offer it up either as a gift or a library loaner within my group, and possibly eventually with the public library. My interest in, “The Adventures of Andrew Price”, is one that is extremely pertinent to my family and friends – of all ages. My children, as indeed are others, are surrounded by poor and questionable food choices daily – at home and at school, sometimes to the point of getting teased, about their healthy lunches that we provide for them. Although I never tire of telling them that they have clearer skin, thick healthy hair and are on average taller than their peers and detractors – I am aware that it would help them to relate and empathize with the characters of this book – it being from a child’s perspective. It would also help to educate their peers too, into making better food choices. Healthy choices made now – and easily, will most certainly aide for a healthy future. I would love a copy of the book “Adventures of Andrew Price to read to my grandsons. I previewed the book and was impressed with the story line. My grandsons used to love our raw milk until their parents forbid them to drink it any longer. Their mom, who is in veterinarian school, has had her mind “corrected” to demonize raw milk. Perhaps I’m opening a can of worms by reading the book, but we have to take small steps to set the record straight. My son recently got diagnosed with 4 cavities. I immediately scheduled a date when the sedation and drilling will be done. A quick search on the internet made me buy “Cure tooth decay” and after reading the first chapter I cancelled the appointment. I buy raw milk, raw butter and Fermented cod liver oil but my son refuses to take the cod liver oil and he does not care for the taste of raw milk. I am hoping that “The Adventures of Andrew Price” will open his eyes and he will better understand why I want him to make those small changes for his health. Thank you for a book and learning tool like this, we need more! The Adventures of Andrew Price looks like a great book! I want to be able to read a book like this to my grandchildren. They need to know how to have healthy teeth. They need to know the importance of working toward this. This looks very appealing to me, and I hope it would be a wonderful reminder to them! I am excited that there is a book like this! The Adventures of Andrew Price looks fantastic. I hope to have this to be able to read with children frequently. Thank you for producing it, and may it be wisely used. I wonder if you should reconsider making it a limited edition as it looks like such a great way to keep children interested in having healthy teeth. I was quite ignorant about what could be done in years past to help me have healthy teeth. I want to teach my family much differently. The Adventures of Andrew Price looks like a great way to help do that. It looks interesting and informative. I hope it will truly help children succeed in this area. I can’t wait to see a physical copy of The Adventures of Andrew Price. It is a book I think I would enjoy reading to my children. And I think it would be helpful to adults as we read to them too! I like the idea of a book that is instructive and interesting as this one appears to be. Thank you for giving away several copies! Plus put the green pasture site and Weston A Price site as well as the watercure site. But luckily I am still single and on my online profile have all these health sites listed. On top of this will include your books Sandrine with your website. I would love to share “The Adventures of Andrew Price with my grandchildren. They are all into sports…especially hockey and they are always eating on the run and their diet is not always healthy. The book would be a good way for them to actually learn about why and how to eat healthy foods and also the how to prevent cavaties. My granddaughter actually plays on the Sibley High School hockey team and my classmate from Aberdeen, S.D., Claudia (Silvernale) Wetzel and I were reconnected via our granddaughters being on the same team! Claudia has given me the information on your processing of cod liver oil and how to get it. I would LOVE to get a copy of The Adventures of Andrew Price! I am a Virtual School teacher and a homeschooling mom of a 6 and 8 year old kids. I am always looking for books to share with my students and my own kids. I also run a community garden (http://www.loneelmcg.org/). I care deeply about not only about the health of my own kids, but the health of low income families in my community. I got Nagel’s Cure Tooth Decay books a few years ago and have read it many times! I would LOVE to have a copy of The Adventures of Andrew Price. I have been eating the WAPF way for about 3-4 years now. This way of eating has become a lifestyle for me and one I am not very willing to compromise on. I watch a group of 4-5 year olds whom I bring healthy snacks when I come to visit. Surprisingly they LOVE what I bring and look forward to trying new foods. I enjoy cooking and baking so, I am so tickled at seeing their excitement. I would love to share this book The Adventures of Andrew Price with them so, in their own way they can understand why I choose to eat the way I do and why I am sharing it with them. Thanks!! Our 3 boys would love to receive a copy of The Adventures of Andrew Price! The older two just had a dentist clean and check their teeth and because of that we are making changes to our family’s diet. They are finding it difficult to make the adjustment and we feel this book would help encourage them. Our oldest son who is seven reads to his brothers and classmates pretty much daily. We feel this would be a great book for him to share with brothers and peers! I would love to win a copy of The Adventures of Andrew Price for my son and future children. I have a fast-developing one year old who we feed according to the Weston Price principles of nutrition, and will do so with all of our future babies. I ate this way as well while I was pregnant with him, and not only did I have the healthiest pregnancy, according to my midwives, but my son has astonished his pediatrician and our functional medicine doctor with his impeccable growth, his almost full set of baby teeth, his bright, alert and beautiful attitude, and his lack of illness. Because of this, I want to raise our entire family with these nutritional principles and this book would give him and our other children a fun way to learn that what they are eating is exciting and awesome nourishment for their bodies and brains. I would love to receive a free copy because I am really trying to incorporate Weston Price’s findings in our families lives. It would help teach my daughter and maybe my husband too. I think this book will help each of us. I also could learn from it myself and maybe better apply the steps we can learn from the book. Thank you for your consideration! I would really appreciate a copy of The Adventures of Andrew Price. We eat as healthy as we know how to. We eat whole & organic foods. However I’m sure there are things I may be missing that this book could shed light on. My kids are troopers and eat just about anything including sauerkraut and seaweed. I’m sure there are some golden nuggets in the book that will impact our family in a positive and healthy way. Thank you so much! I would love to receive the book “The Adventures of Andrew Price” as my family has been following the WAPF dietary guidelines for two years now. We have learned a lot through this journey about food and the importance of following traditional methods of preparing it. We have enjoyed this process as a family, but we also know there is still a lot more for us to learn. We aim to be intentional with teaching our children about real foods from a very young age. We would love to have this book to be able to use it as a resource to teach our kids! Here’s the deal – I know I should wait for my tiny grandson to become 3 or 4 years old before giving him “The Adventures of Andrew Price”. Also, I can’t afford it right now. But it’s a limited edition, and it may eventually become impossible to find. Then I’ll want to kick myself for having waited. How will my little guy learn the nutritional principles clearly written and beautifully illustrated in the Andrew Price book? He won’t hear about them from his parents, although his mom recently described an eatery serving fermented veggies as “Sally Fallonish”. Clearly, the boy needs the book! Now, if someone were to GIVE me “The Adventures of Andrew Price”, well, that would solve my problem. We would love to win a copy of “The Adventures of Andrew Price”. My family has been practicing the principals of Weston Price for several years now. We were blessed with a baby girl 19 months ago who is so healthy and vibrant. She actually attended her first Price conference when she was only 4 months old in Indianapolis. We would love to be able to share with her the story of Weston Price through this wonderful children’s book. I would love to win a copy of The Adventures of Andrew Price for my children. This looks to be a wonderful method to encourage children to develop an understanding of the connection between health and food. After learning of Weston Price and his research, I have tried to get my husband and children on board with a healthier diet. They think I’m crazy, but I think one of my children have become increasingly hyper due to the processed school food. I would hope one day more of us would realize the connection between health and nutrition of real food. This book is one amazing way to share this with our children. Thank you! I am a homeschooling mom. Soon I will be starting a science unit with my 6 and 8 year olds on the human body. I plan to use the new Nourishing Traditions Cookbook For Children to teach nutrition at the same time. It would be great to incorporate “The Adventures of Andrew Price” into that unit as well. My boys need to understand why we eat as we do and why we pass on the junk that looks so appealing to them. Thank you for putting out this book and to Green Pastures for giving us a chance to win. The Adventures of Andrew Price has been well received in my home. This book is beautifully illustrated. The colorful pictures are very engaging. The content is just what the younger generation needs. I am so happy to be able to share the truths of traditional eating with young readers. I have been looking for a nice book for my youngest 2 to tell them about nutrition. So far everything I have found was in the diet dictocrats corner, which I do not want them exposed to. I have tried making up my own stories, but this has proven to be a skill that I need to work on quite heavily unfortunately. I really want my children to be aware of the difference good nutrition can make. I grew up on a low fat, low salt diet, which has left it’s mark throughout my life. Unfortunately our world is so full of propaganda that it has proven difficult to expose all my children to the ideas of the WAPF. One of my oldest children isn’t particularly interested and eats a lot of rubbish. The good thing is that said child knows it is rubbish, that is more than I can say of many of the friends of said child. In case I do no win it, I will eventually – as soon as our income has increased – buy it, though I would like my children to hear the stories as soon as possible, so I figured entering could be a good plan. I would love to receive the Adventures of Andrew Price to read to my grandchildren, ages 5 and 7, to reinforce how important nutrition and food are to our bodies. I firmly believe that good nutrition habits start in the home. It is here that children learn how to interact with food. I am so happy for this book! Children are so impressionable, and can often change their own parents’ thinking. It is important that we counteract the cultural ignorance about food and the apathy that often happens with busy lives. The Adventures of Andrew Price sounds like a great book to help educate my 6 children on healthy food choices. Both myself and my husband have had a lot of dental work done, due to years of not knowing the affect of certain foods on the health of our teeth! We want better for our children. Yet it’s difficult to convince them when it’s just “mom and dad” telling them something is good for them. There are so many other voices trying to sell them “fun food” through advertising. All of my children read, or at least look at picture books, throughout the day, so a book would be an effective way to reach them in this area! I would love to have The Adventures of Andrew Price to add to our bookshelf! We are a homeschooling family and I always love to incorporate our healthy eating choices into a variety of our school ‘subjects’ every day. How we take care of our whole-body, whole-family health is an important part of who our family is every day. My kids have internalized how important these choices are that we make on a daily basis. I personally have relied on Dr. Price’s research and work to help guide our family’s eating and dental health so I would love to have a way for my kids to easily understand how and why his work has influenced me so much. My four kiddos would love this book! It would really help them understand why I am making so many changes for their health. The Adventures of Andrew Price sounds like a great book to get little ones started at an early age caring about nourishing their bodies. I grew up not even knowing about nutrition labels. If I got this for my kiddos I know they would have a much better start in life with nutrition than I did, and hopefully they will pass it on to generations to come. I would love to win a copy of “The Adventures of Andrew Price”! My family has been following this philosophy for years. I’d like my children to know why we eat the way we do, especially with all of the pressures from peers. They’re able to live happy, healthy lives after healing with traditional foods. It would also help get my husband on board, as he’s been resistant to the changes and doesn’t always eat real food. I would be so grateful to win a copy of “The Adventures of Andrew Price” for my children. As a society, we have obviously lost almost all of our ancestral wisdom when it comes to food. This book cuts through our plague of indoctrination and misinformation when it comes to what people should eat. Having a book like this which is geared specifically towards children is extremely important. They are the next generation and need this information even more desperately than my generation! I worry about how to teach my children about Weston A. Price’s findings, and I think having this book would make it a lot easier, and make them more accepting. Either way, I’m so grateful Sandrine Love wrote this book! This book looks brilliant! I would love to see it on display at our library. So many children still grow up with the disadvantage of poor nutritional habits, even though in recent times our access to information is greater. Recently I read to my nephew in order to help him with his reading. What better story to tell than one so worthy of comprehension. This knowledge is VITAL to pass on and it is very fortunate that the authors created this work. My hopes are for after sharing it with him and his brother, they will be asking me for “tooth friendly” foods whenever they come over. Thank you for “The Adventures of Andrew Price”. I would love to receive a copy of “The Adventures of Andrew Price”. I have several homeschool children that I teach in our community. It would be wonderful to share this information with each of them. It looks absolutely phenomenal! Thank you for this opportunity. Either way, I look forward to reading it! I have been following Price’s work for quite some time now. I feel that he has been a big part in transforming my daughters life and my own by his work. I have quite a collection in natural health and healing books. I would love to add this to the collection. There are not many books for children in health and what books there are in that category for children are way off. I feel this would help my daughter more realize how important our health is. I feel this book is a beautiful idea to reach out to children and teach them about true health. I would like a copy of ‘The Adventures of Andrew Price’ because it will be a fun and educational opportunity to learn about healthy food. We homeschool our kids, who are in 3rd and 5th grade, and this book will be an amazing acquisition to our library. We also have a baby that will be able to enjoy the book in a few more years. Because we spend a lot of time reading, learning about Dr. Price’s experience on healing and health will be exiting. I can’t wait to read this story to my kids and others that may be interested in healthy and traditional foods. Thank you. Oooo, we would LOVE to have a copy! We have recently began learning how to nourish our bodies with better food choices. Anything that is fun and informative is always a great resource for kids! We love to read as well, so and my son’t birthday is coming up, so this would be a great gift to him. Thank you for publishing this book, I’m sure it will bless many children and adults alike! The Adventures of Andrew Price would be a wonderful book for my family! I have 4 children under the age of 7 and they really love books! I am trying to lead them along the path of learning about the reasons for eating natural foods. They understand some things since we do drink raw milk and raise our own chickens, but I tend to think that books are so invaluable for providing a better foundation for their growing imaginations than anything I can say to them right now! My oldest son unfortunately has a lot of cavities. I found out about Westin A. Price and Nourishing Traditions after the damage was already done to his teeth. As much as I try to discuss with him the benefits of eating the foods that I would like him to eat, he resists a lot. I think this book could help him considerably! The Adventures of Andrew Price is a long-awaited and hoped for book for children! Sometimes what we try to teach our children seems like an opinion until they see it in print. This book validates the principles of true nutrition in a way that will motivate kids to want to eat healthfully and be proactive about learning where their food comes from and how that affects their ability to live well. Parents all over have been needing this book to be a part of their family libraries and I am eager to promote it in my wellness practice. Thank you for developing such a comprehensive and enjoyable book that will help guide our children to the knowledge needed to stay well, knowledge that has been tucked away and hidden for the most part. Way to go! The Adventures of Andrew Price would be a great tool for teaching young and old alike about the importance of a nutrient dense diet. I would either gift it to a young friend or keep it to share with my young friends who come to visit. A children’s book format is a great way to normalize the info and make it accessible. Not only is the health information essential, but the historical significance of the cultural figure of Weston A. Price becoming more of a household name is terribly important. This book has the power to correct many historical and cultural omissions and distortions. My 3 year old daughter has been raised on GAPS and we are finally transitioning to a WAPF diet. I would so enjoy reading this to her and I know she would love it! If I don’t win it, I will have to try to buy it because there are no other resources like this! Please do reprint this again if it’s really popular. Plus, maybe one day it can be nags into a movie! Now THAT would be amazing! Thank you for this great book! I like books. Books have knowledge. Knowledge is power. This book has knowledge. This book is powerful. I like power. Give me book. Weston A. Price changed our lives and our clients lives. We used to sell so many supplements along with our hands on therapy. Now we know that if people just ate in a Nourishing Traditions way much less manual therapy was needed to fix them up. It would be wonderful to read how Andrew Price found it all in the modern era. I bet our co op school and others in the Bellingham, Wa area would love it. I am very interested in the book The Adventures of Andrew Price. I have three grandchildren under the age of 5 years. My oldest grandchild has a genetic condition, with many health issues. She was diagnosed with hypothyroidism at 18 mos. Healthy eating and living is very important to us. My husband and I, as well as our daughter’s family follows Weston A. Price way of eating. We love the Nourishing Traditions and GAPS books. The Adventures of Andrew Price would be great to help emphasize the importance of healthy eating to our little ones. I am excited that there is now a book for kids that highlights the importance of nourishing foods! As a mother and naturopath specialising in children’s health, my passion is educating parents and children about the priceless gift of optimal nutrition. I often use kids books in my clinic, but they are often not quite right for the message that I wish to convey! I have promoted Weston Price’s work and research via blog posts, but these usually only reach adults. So it is wonderful that a book that can meet kids is now available and I would love to have a copy. Thank you from down under – Australia! I am interested in winning The Adventures of Andrew Price book because I have 5 grandchildren who would love this book. My 11 year old grandson has been raised to love vegetables, and he can tell you what is healthy food and what is not. My younger grandchildren seem to not have his discipline. They got a sweet tooth from their grandfather and can’t resist sugar. My 18 month old granddaughter prefers a saltine to anything else you can offer. Hopefully they will learn better. The Adventures of Andrew Price would be very benificual in my home. Sometimes I run out of energy and answers trying to explain to my 17 year old son, 10 year old daughter and my husband who works shifts (police officer) that their sleep, their mental state all depend on the food they eat. My 17 year old has acne that could be minimize, if not emliminated by the foods he eats. The health issue my husband has from eating random hours and quickly I’m am conceived are the cause of many, if not all his health issues. Winning these books would be helpful to have in my home for my family to see that I’m not insane (per say). Ultimately aiding in our overall health. Thank you for the consideration. Are we just supposed to comment for a chance to win? Hope so! I was not clear on that, and could not find an actual “enter” form. Since I’m, in essence, a “kid” at trying….and I mean, TRYING……to eat better at this time in my life. It’s a struggle. This book looks very cute. Thanks for a chance to win a copy. My kids and I would love to receive a copy of The Adventures of Andrew Price. Our family is on a journey of becoming more and more health conscious in all areas of our lives. I love to see my children taking an interest too. This book would be a perfect addition for my seven year old to read and learn from. My four year old will love that the book is written from a kids point of view. We look forward to reading! I would love to receive a copy of The Adventures of Andrew Price. Since we modified our eating habits our health change. I love to teach my kids the importance of healthy eating, with examples, videos and any possible resource. The adventures of Andrew Price will be the perfect tool to reinforced our new life style. A life style that is having good results. I am very interested in the book The Adventures of Andrew Price. Seems like the kind of book I would love to share with my grandchildren and great grandchildren. Maybe I can counteract some of the damage done by commercials for fast food and food that is not really food. I love that this gives them the chance to see the other side of food. Here’s to a win for real food. I just discovered your website today! There is so much awesome information that you’re sharing. Thank you! My family is facing many new health challenges, so I’m glad I found your work. “The Adventures of Andrew Price” sounds interesting and enlightening. I would love to read it with my young boys. The Adventures of Andrew Price shows that you don’t have to eat from processed, man made foods, that you need to get your food from the earth. Just as we can use herbs and natural supplements(not man made) to get the nutrition we need. With all the pharmaceutical companies out there that want you to use their chemical drugs instead of using what we should, all the good nutrition from the non-chemical grown food. I try soooooo hard to explain to people and family about all the pesticides and chemicals sprayed on our foods and all the chemicals in their medications from their doctors.Our family(years ago) did not have doctors or medications and they lived. What they are putting in our foods, house hold products, cosmetics, toiletries, etc.. these days are killing us. We need people to be aware of what is going on. They need to wake up. All those people care about is the all mighty dollar, not our health and well being. My husband and I have six children all of whom follow the WAPF way of eating. With 19 grandchildren and three great-granddaughters I know this book will be a big hit with the children. What a wonderful way to teach them. They will have to share of course until I can get more. Thank you for publishing this book. There has been a need for such a text for a long time. We try our best to live a healthy lifestyle. The kids too to some extent. But it’s not always easy for them to refuse bad foods..although they do, I would like a copy of this book to strengthen them even more…and I’m sure it’ll be a cosy and enjoyable time for me too! I’d love a copy of this book for myself and four kids…Good job, thank you! I have 26 grandchildren, of whom 24 are 16 years of age & younger. Because one little seven year old granddaughter, who is also low vision, has serious health problems, and she is here 5-6 days per week, we try hard to feed her right. I encourage the other grandchildren to drink raw milk and I frequently feed them soups made from my homemade bone broths when they are here. (A number of them are home schooled & we do lessons here one day a week, so if I have a soup made, they eat it). My maternal grandmother, Sabina Herminia Arnold Julius, was born in Simplon Dorf, Switzerland and I believe that the Arnold family still runs the bakery there, offering traditional rye bread. It is exciting to me to think of Dr. Price possibly being there where my relatives lived/live and that there is a children’s picture book that I can have here and read to my little ones–at least to the ones aged 8, 7, 7, 6, 5, 5, 4, 3, 3, 2 and 2!!! We have some major dental issues in our family, including my husband whose fear of dentists (and needles) led him to have all his teeth extracted as a young adult, rather than go thru the extensive work he was told was necessary. I inherited my mother’s teeth… having very few teeth now without some dental work having been done on them. I hate seeing my otherwise healthy 95 year old mother struggle to chew her food now with poorly fitted dentures after her few remaining ‘anchor’ teeth began to crumble. Our daughter is heading down the same path of requiring extensive dental work. Hopefully learning about the information included in The Adventures of Andrew Price will help her save some of her own teeth, and change the pattern for the next generation of teeth in our family!!! I am interested in winning the book because I am serious about getting my family back to optimal health. We struggle to stay on the path to nutrition because of the influences of our community. Every potluck or community event we attend has mainly unhealthy food choices. My children already know that eating healthy is important but they gravitate towards unhealthy choices at times. I believe the Adventures of Andrew Price will be a great way to help my children make healthy choices. They also love to read so it’s a win win. I have interest in this book, as Dr. Price lead a very interesting life. While his story is unique, all the formats I have ever seen are well beyond the level and understanding of young children. It is often that my children question why exactly we eat the way we do, and I do my best to answer it so that it becomes a choice that sits well with them as they grow into adulthood. While I have not yet read the book, I believe it will help to increase the understanding of what Dr. Andrew Price brought us. I look forward to reading its content and exploring its pictures. I am a holistic nutritionist who see’s quite a number of children in my practice. Having a book which specifically focuses on children’s nutrition designed for children would be such a blessing to my clients. I have a lending library and I will make this book available to the parents who want their children to see examples of how to think about eating and choosing healthy foods from a child’s perspective. I really appreciated the outline of the book and the travels in other countries, which I believe will help children put into perspective the history of nutrition. I also look forward to reading it myself! The Adventures of Andrew Price sounds like a fun book. Our household would enjoy having a copy of The Adventures of Andrew Price. We love the research of Weston A Price and this fictional story is a lovely idea. We already own a few cook books from the foundation. The Adventures of Andrew Price would be the perfect addition. What are the nutritional differences between commercial infant formula and breast milk?